With most of the bigger awards already handed out we got the staff together for one last meeting in 2012 to come up with our picks of the year. Tough decisions were made, pizza was eaten, beer drank, and that the end there was only one fist fight and a ripped vintage NHRA drag racing shirt. So the damage wasn’t that bad. There really wasn’t a criteria for this and each member was encouraged to pick what they liked so that their own tastes shined through for each pick so without further ado, hit the jump to see the 2012 staff picks. Being the hot rodder and muscle car fan, my picks will shock no one. I appreciate custom work, wrench time, and blood, sweat, and money that goes into these sort of things. So my picks of the year are as follows. It’s big, it’s loud, it’s expensive as hell, and every time I get in it I feel like the biggest douchebag alive. Some might say it’s perfect for me. Modern muscle meets luxury and it sounds so good. Yes it’s a clone and there will always be those elitist who hate that, but if you are going to have a car to drive, this has got to be it. You can’t drive an original Superbird around these days. I’m madly in love with the Superbird. Racecar of the year – Nissan Deltawing. A pretty solid choice for innovative design of the year as well. The Deltawing is the kind of innovation we do not see all that often. It will be interesting to see how the big racing bodies handle it and if it becomes outlawed. A great looking classic Camaro that gets driven. That’s why it makes the list. We love drivers and this is an awesome example of a driver. I managed to get to a few memorable events this year. Billetproof in Antioch, CA was amazing as the Fireworks 500 desert race, that took place literally in my backyard, but by far the most amazing automotive experience of the year was Speed Week at Bonneville. 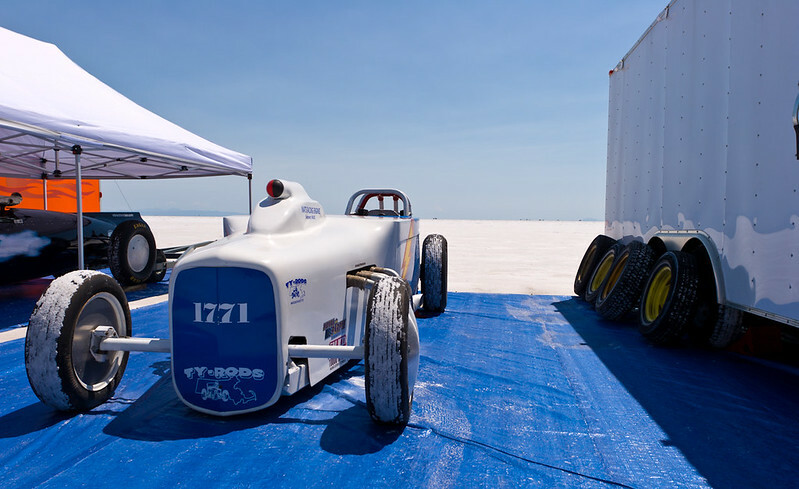 There really is nothing like Bonneville and if you haven’t been there you owe it to yourself to make the trip at least once. My favorite car of the year has to be the Jeep FC Concept. With portal axles, a winch, tow points, pretty basic interior and all kinds of utility it makes me wonder why this isn’t a production Jeep. Plus, the fact that it looks pretty tough doesn’t hurt. My Staff Pick for Car of the Year is a vehicle I only got to drive during this, the last week of 2012. The Toyota GT86 GT. It is everything it is cracked up to be. Lithe, nimble, rewarding and most of all, massive fun. It’s a car that is cheap to buy and insure, uses very little juice, is practical as an everyday driver and makes the most of what power it has to give the grins on every drive. Slotting the slick shifting lever from slot to slot while exploiting that awe-inspiring chassis balance through the bends is something everyone needs to experience at some point. Why the GT rather than the GTS or the BRZ? Well, it’s quite simple really, the GT is cheaper and actually delivers more thrills. Less weight, plus less rubber fitted equals oversteer at lower speeds. The added stuff on the GTS and BRZ actually lessen the fun and just add to the price. How cheap is the GT? It’s a bargain! In some markets, including my own in Australia, the GT86 GT undercuts the Mazda MX5 by 20 grand. That’s a lot of moolah! Having now driven the thing, I can tell you it’s a world better at everything the Mazda can do too, bar the obvious open-top factor. By going back to the drawing board and creating something extremely simple, Toyota and Subaru have created a vehicle that easily eclipses everything else to become my car of the year.